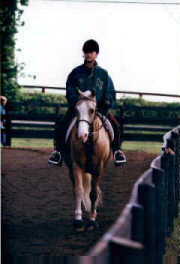 Here are some photos of Leah P's pony, Shamrock, who is for sale. Asking price is US$5000, for more information direct all serious enquiries to HoRziEguRL@aol.com. 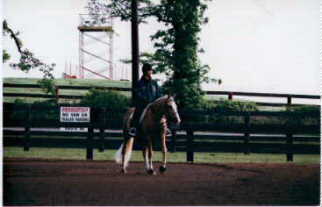 Leah and Shamrock schooling before their classes at Upperville. 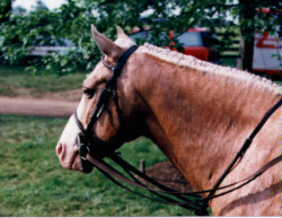 Shamrock looking very pretty - and look at those plaits!!! 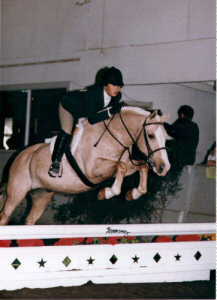 Great style - Shamrock with Leah P. jumping indoors. As with all photos on this site - NO photos may be taken without permission.